Review For the last 18 or so months, if you'd wanted a high-end Android smartphone you’ve had to make do with something a bit on the large size. The HTC One, Samsung Galaxy S4, LG G Flex, Nokia 925, Sony Xperia Z1 all have one thing in common: they are big old Hectors compared to Apple’s iPhone 5S. Of course, all those handsets I’ve listed have larger screens than the iPhone. But what if you want a cutting edge, powerhouse Android blower in a form factor closer to what Apple has to offer? Enter Sony with a device whose name couldn’t be more descriptive if it tried: the Xperia Z1 Compact is exactly that. 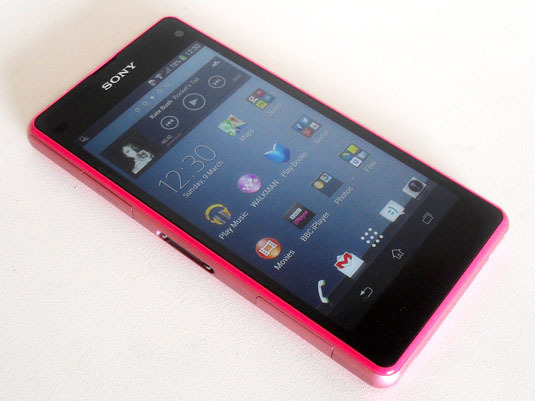 A compact Xperia Z1. 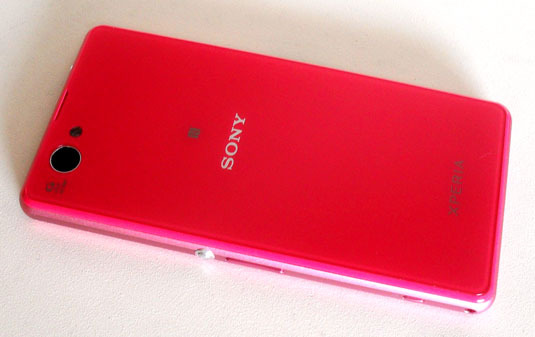 To cut to the quick, Sony hasn’t entirely managed to make the Z1 Compact as small or as light as the iPhone 5S. At 137g it weighs 25g more and is 3mm taller, 6.5mm broader and 2mm thicker. But then it has got a larger screen than the iPhone, 4.3 inches compared to 4.0. It’s a sharper display too. Sure, it only has 720 x 1280 pixels but spread across a 4.3-inch diagonal, that results in a pixel density of 342ppi compared to the iPhone’s 326ppi. You could argue that in keeping with its “same but smaller” ethos, the Z1 Compact should have a 1080p display like its big brother. Yet I find on screens below 4.5 inches (actually, I’d push that number as high as 4.7), the difference is very nearly imperceptible. By demanding a higher resolution you are just making the chipset push more pixels around in the name of spurious bragging rights. Now when I reviewed the Xperia 1 proper and waxed lyrical about the screen, several readers came down on me like a ton of bricks for not being more critical of the screen’s viewing angles. Having revisited the Z1, I’ll grant they had a point. A small point, but a point none the less. With that in mind, I’m happy to report that the Z1 Compact’s Triluminous LCD panel seems to have addressed this particular issue. It’s still not absolutely as strong as the iPhone 5’s IPS panel or the new Motorola Moto X’s AMOLED screen in the Viewing Angle Chase from Kempton Park, but you have to hold the Z1 Compact at a deliberately absurd angle to detect even the slightest hint of contrast shift. In all other regards – contrast, colour saturation and brightness – the Z1 Compact’s screen is every bit as good as the Z1’s, and that means very good indeed, and there’s even an option to manually adjust the display’s white balance. In a nutshell, it’s the best Sony has ever fitted to an Xperia smartphone and it’s one of the best smartphone screens around full-stop. The only area where it is bit middling is legibility in direct sunlight. 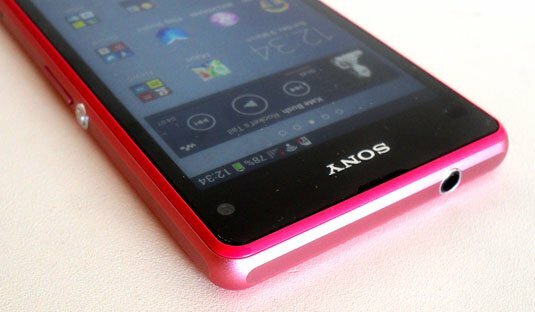 Physically, the Compact holds true to the current Xperia Z design language. The excellent, easy to find, use and behold chrome-effect power button sits in the middle of the right-hand side with the volume rocker conveniently placed just below. You also get a handy physical camera button further down the same side, although it could do with being rather larger.